In the petition, 9-year-old Ridhima Pandey said the Centre has failed to implement its environment laws. 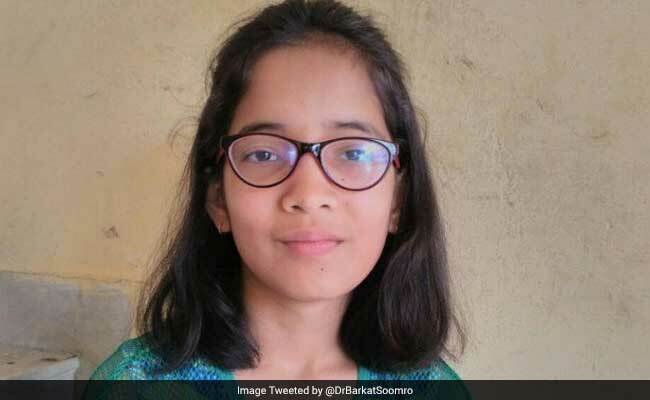 Mumbai: A 9-year-old girl has filed a legal case against the Centre for failing to take action on climate change, highlighting the growing concern over pollution and environmental degradation in the country. In the petition filed with the National Green Tribunal (NGT), a special court for environment-related cases, Ridhima Pandey said the Centre has failed to implement its environment laws. "As a young person (Ridhima) is part of a class that amongst all Indians is most vulnerable to changes in climate, yet are not part of the decision making process," the 52-page petition said. The petition called on the tribunal to direct the Centre "to take effective, science-based action to reduce and minimise the adverse impacts of climate change". The tribunal has asked the Environment Ministry and the Central Pollution Control Board to respond within two weeks. A spokesman from the Environment Ministry told the Thomson Reuters Foundation that they would respond as directed by the tribunal. India is home to four of the 10 worst-ranked cities in the world for air pollution. Along with China, India accounted for more than half the total number of global deaths attributable to air pollution in 2015, according to a recent study. Despite several laws to protect India's forests, clean up its rivers and improve air quality, critics are concerned that implementation is poor, and economic growth often takes precedence over the environment. Flash floods and landslides in the Himalayan state of Uttarakhand, where Ridhima Pandey lives, killed hundreds of people and left tens of thousands homeless in 2013. The devastation affected Ridhima Pandey, who is the daughter of an environmental activist, said Rahul Choudhary, a lawyer representing her. "For someone so young, she is very aware of the issue of climate change, and she is very concerned about how it will impact her in future," he said. "She wanted to do something that can have a meaningful effect, and we suggested she could file a petition against the government," he told the Thomson Reuters Foundation. Ridhima Pandey is not the first child in India to raise her voice over inaction to protect the environment. Last year, 6 teenagers filed a petition with the NGT over air pollution in New Delhi which has the worst air quality in the country. In her petition, Ridhima Pandey requested the court to ask the Centre to assess industrial projects for climate-related issues, prepare a "carbon budget" to limit carbon dioxide emissions, and create a national climate recovery plan. "That a young girl is doing so much to draw the government's attention is something. We hope the case puts some pressure on the government to act," said Mr Choudhary.